On Sunday, November 9, fifteen GRC members headed to the Minnesota Center for Book Arts in downtown Minneapolis for a demonstration and tour. Lin Lacy, MCBA instructor and a botanical artist herself, gave a lively demonstration, starting with an overview of the history of the craft. 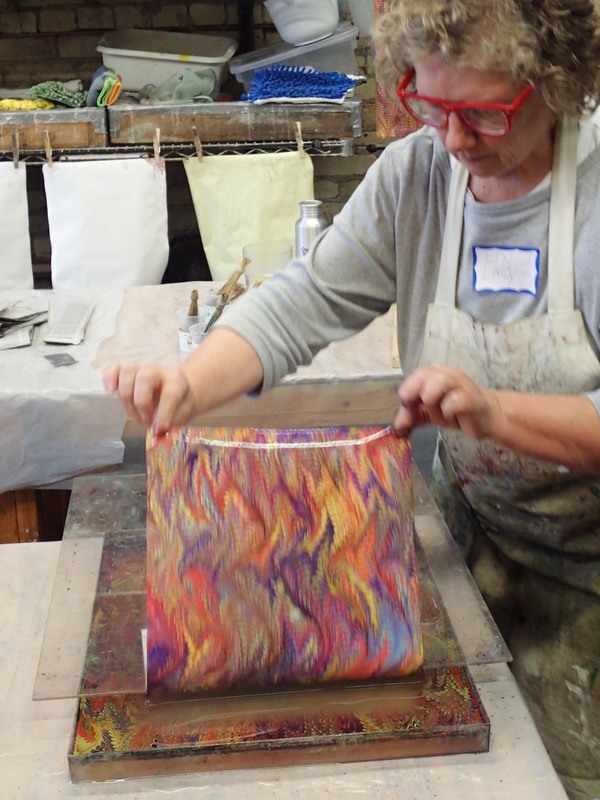 She showed us the three patterns of traditional Ebru marbling - stones, gel git and non pariel. Lin dripped colored pigments to float on a thick liquid (water + carrageenan), then manipulated it by dragging a series of combs through the mix to produce evermore intricate patterns. 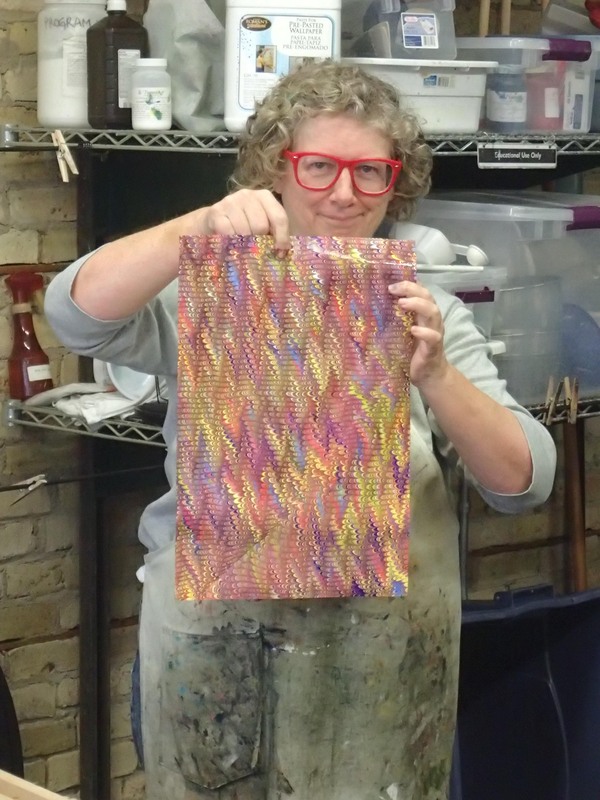 Alum-prepared paper was then carefully laid down and then, with a flourish, Lin would whisk the paper from the surface revealing a dazzling and unique pattern of colors. In Lin’s own artwork, she uses a less traditional style of marbling using a subtle palette of paler colors, which she then uses as a painting or drawing surface. She shared examples from her portfolio, showing how marbled papers can add depth and complexity to any artistic expression, including botanical work. Lin made several marbled sheets in shades of gray, which she challenged us to experiment with at home. While the demonstration samples were drying, Lin lead a tour of MCBA’s space, highlighting some of the building’s unique architectural details. We saw some wonderful examples of book arts and paper arts in the gallery and then toured the bindery where books are made, the paper studios and print studios, and the shop.